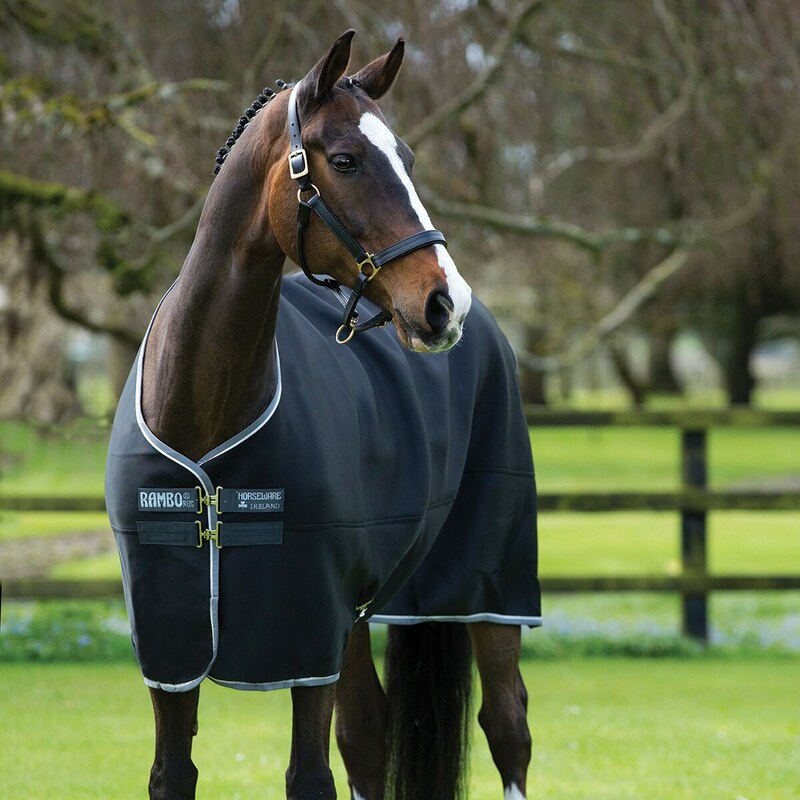 Give your horse the max in any weather with the Rambo® Airmax Cooler. This lightweight cooler is made from polyester airmesh with a soft, absorbent inner to wick away moisture. 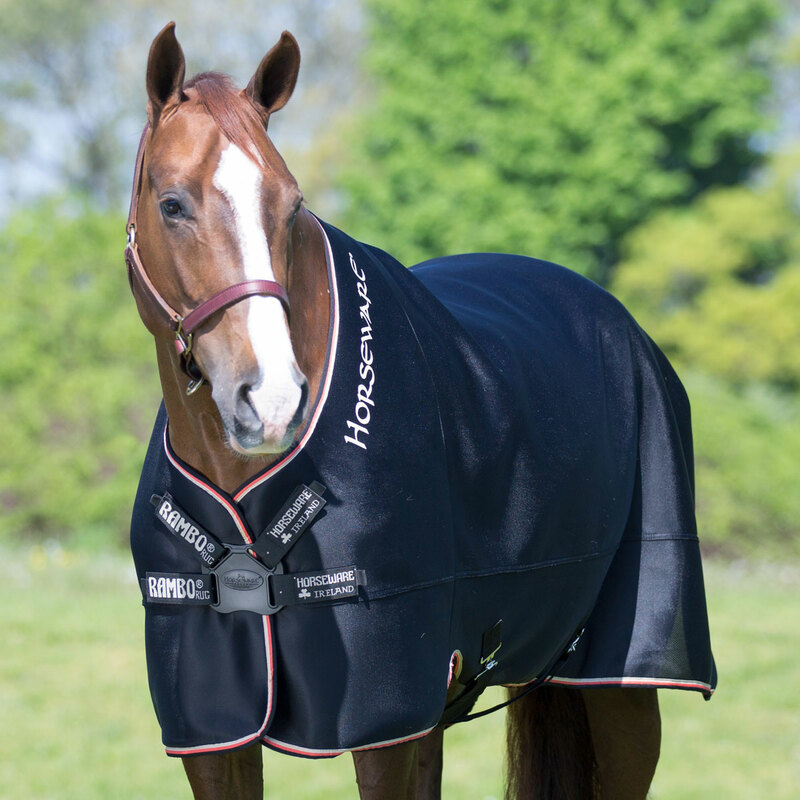 It features 3D construction that keeps your horse warm in cold weather and also allows maximum airflow in warm weather. Plus, it has leg arches for to give your horse more freedom of movement and lined shoulders to prevent rubs. You’ll love that the smooth outer sheds hay and shavings, making it easy to keep clean. Additionally, the disc front closure is quick and easy to use and the cooler also has detachable surcingles and a tail cord to keep it securely in place. Finally, the classic cut and styling are sure to show off your horse’s good side. Rambo® Airmax Cooler is rated 4.4 out of 5 by 5. Rated 5 out of 5 by Macy2700 from 3D Airmax Cooler I love Horseware rugs because they fit my mare great and don't slide off. This cooler in particular has a smart 3D design as it is made of a foam like fabric that traps air between the layers for maximum ventilation, wicks moisture away quickly, and insulates against the cold, which makes it the perfect rug for traveling and cooling off during shows. 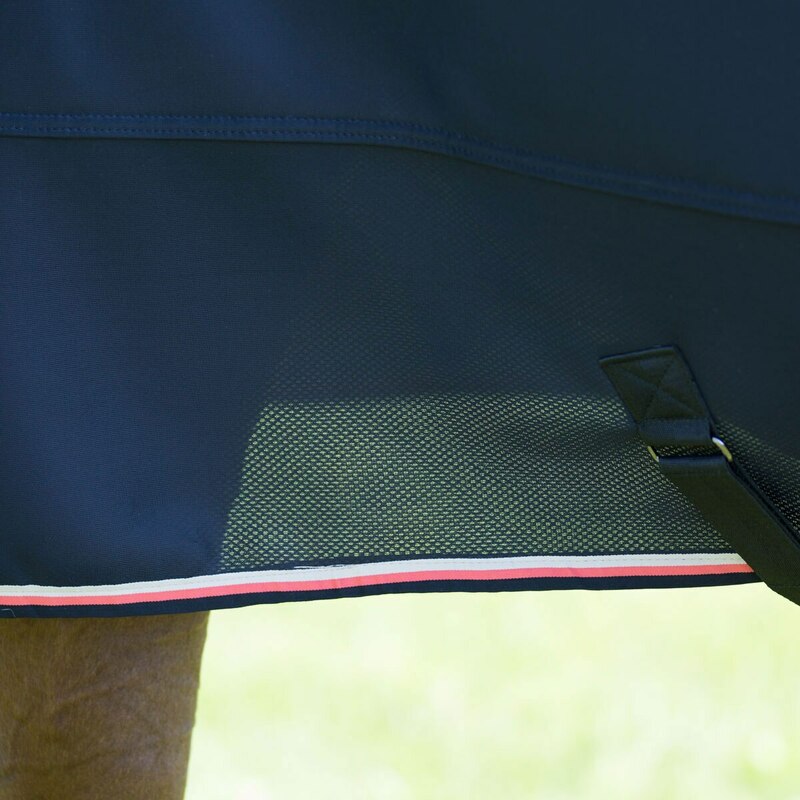 The lightweight fabric and clever design keep my mare feeling comfortable and dry. Rated 4 out of 5 by Jody from Repels dirt and shavings Only used a few times but fits well and love the front closure. Comes with a spare too! Rated 5 out of 5 by Thegiggler from Rambo Cool Max Great cooler and hay does not stick to it! I have not had it long but think it may run a tad small compared to other products in the Rambo line. Rated 4 out of 5 by Dia rider from Rambo Cooler lives up to it's product description. I purchased this cooler because Rambo usually runs a little on the larger side and I was tired of trying coolers that didn't fit, didn't work or shrunk. I haven't washed it yet, but it runs a little large so that isn't a concern. So far I am very pleased with it's performance. Hair does cling to it, but for the most part shakes right off. Well worth the price.